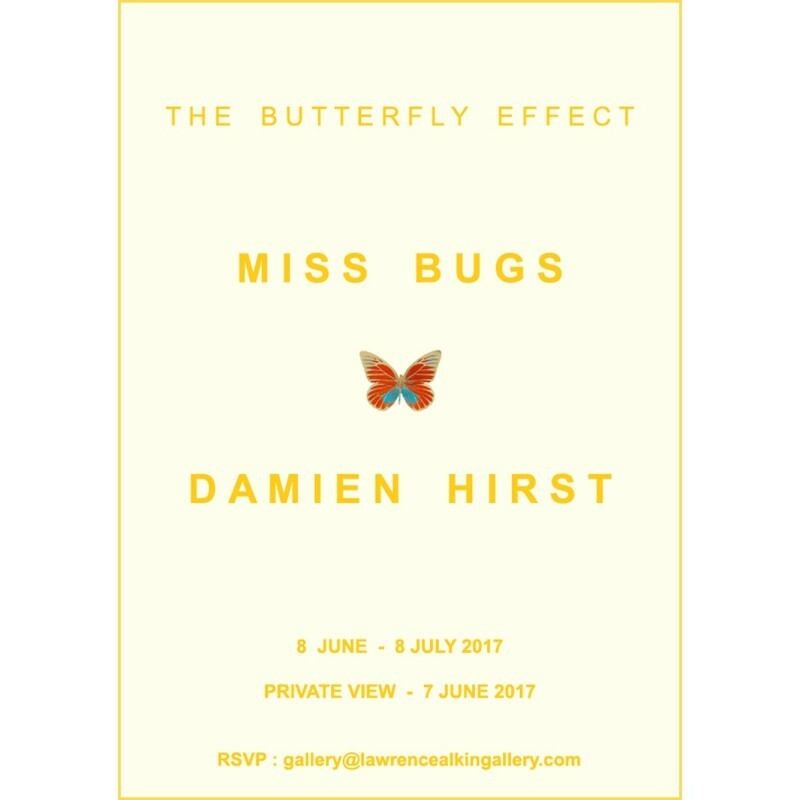 Opening in June at Lawrence Alkin Gallery, ‘The Butterfly Effect’ is showcase of new original work by secretive boy-girl duo Miss Bugs, alongside one of today’s most prolific contemporary artists, Damien Hirst. Featuring the largest amount of new work by Miss Bugs since their last solo show in New York in 2013, The Butterfly Effect will include four new large-scale original resin works by Miss Bugs and a range of Hirst's butterfly print editions. Elements of Hirst's butterfly patterns can be seen in each of the four Miss Bugs pieces on show. The kaleidoscope pattern has been present in much of Miss Bugs work, yet the collaborative duo uses materials such as Lego, magazine cut-outs, stickers, surgical blades, pharmaceutical capsules and toy charms to build their intricate collages. Each element tells a story within the work. The Miss Bugs artworks are all large scale, with the smallest measuring 95cm x 118cms and the largest 140cm x 170cm.